Still working on the website. It's grey outside. Christmas gifts have to wait on the coffee table another six days. 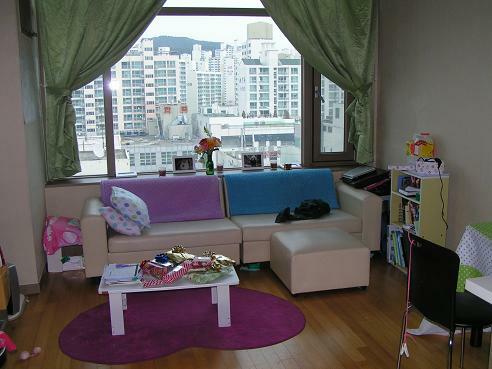 This is our apartment in Busan, Korea. This is the view from the kitchen! It's tiny here! Living room, family room, office (you can see the office chair to the right), ...pretty much where we spend most of our time.